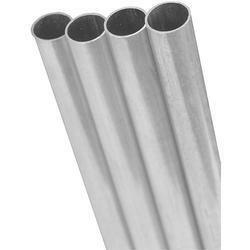 Aesteiron Steels Pvt Ltd, is one of the leading manufacturers of ASTM B221 Gr 7005 Aluminum Tube. 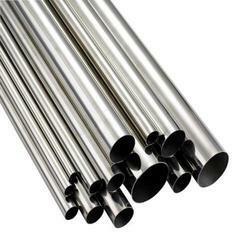 ASTM B221 Gr 7072 Aluminum, has high corrosion resistance. It loses its strength when exposed to very high temperature. However, their strength increases at subzero temperature, thus making them a useful low temperature alloy. ASTM B221 Gr 7075 Aluminum, can be welded using resistance welding methods. It can be hardened by precipitation heat treatment. It is mainly used to manufacture aircraft & other aerospace. ASTM B221 Gr 7178 Aluminum is difficuilt to be cold worked. It can be welded resistance welding methods. It has good machinability, especially in the annealed state. It is used in structures aircrafts. 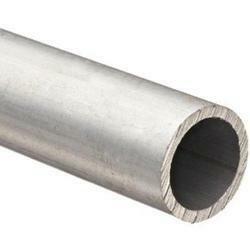 ASTM B223 Gr 1060 Aluminum, is a low strength alloy with good corrosion resistance. It is used to manufacture railroad tank cars & chemical equipments. 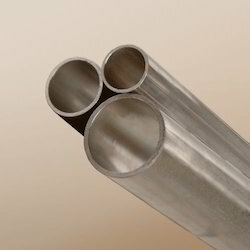 ASTM B234 Gr 3003 Aluminum, has high ductility & corrosion resistance. It has moderate strength & it can be increased by cold working. ASTM B234 Gr 5052 Aluminum, has good workability, good weldability & high fatigue. It provides very good corrosion resistance especially in marine environments. Its applications are heat exchanger, marine environments & architecture. ASTM B234 Gr 5454 Aluminum, is used to manufacture welded structures, pressure vessels & in marine service. It posses good hot working & cold working characteristics. ASTM B234 Gr 6061 Aluminum, provides medium high strength, good toughness, good surface finish, excellent corrosion resistance to atmospheric conditions & good weldability & workability. 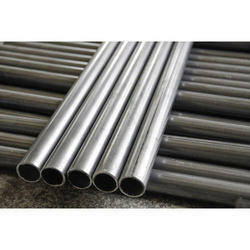 ASTM B234 Gr 7072 Aluminum, provides high corrosion resistance. It lose its strength when it get exposed to very high temperature. ASTM B236 Gr 1350 Aluminum, is widely used in a number of electrical & other industrial due to its conductivity & formability. ASTM B241 Gr 1060 Aluminum, is a low alloy strength with good corrosion resistance. It is widely used to manufacture chemical equipment, railroad tank cars. ASTM B241 Gr 2014 Aluminum has strong corrosion resistance characteristics. It is used to manufacture truck frames & aircraft structures. ASTM B241 Gr 2024 Aluminum, provides good machinability & surface finish capabilities. It is useful to make aircraft fittings, computer parts, gear & shafts etc. ASTM B241 Gr 2219 Aluminum, has very high corrosion resistance. 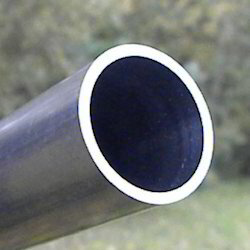 It can be welded using resistance welding & inert gas welding techniques with high precautions in order to prevent cracking. 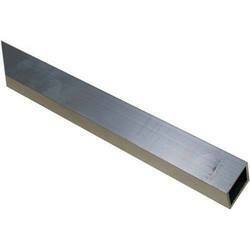 ASTM B241 Gr 3003 Aluminum, has high ductility & corrosion resistance. It has moderate strength & good corrosion resistance & its strength can be increased by cold working. 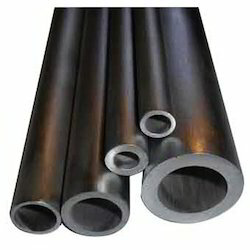 ASTM B241 Gr 5052 Aluminum, is a non heat treatable alloy that is weldable. It is hardened by cold work. It has good forming characteristics & good corrosion resistance. ASTM B241 Gr 5083 Aluminum, is non heat treatable alloy for strengthening. 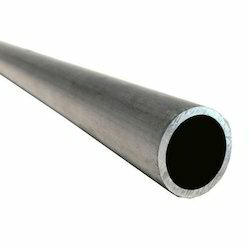 It provides very good corrosion resistance & strength & can be easily welded. ASTM B241 Gr 5086 Aluminum provides higher strength compare to 5052 & its mechanical properties vary significantly with hardening & temperature. It is extremely popular in marine applications. 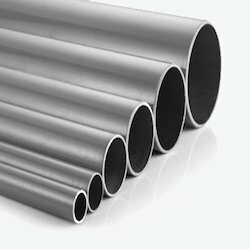 ASTM B241 Gr 5454 Aluminum, has very good corrosion resistance in particular to seawater & general environmental conditions. It is typical used in road transport, chemical processing plant & pressure vessels etc. ASTM B241 Gr 5456 Aluminum, has good strength & it is useful for structural purpose because of its weldable characteristics. It has strong corrosion resistance. ASTM B241 Gr 6063 Aluminum is a medium strength alloy commonly referred to as architectural alloy. It is normally used in intricate extrusion. It has good surface finish & high corrosion resistance. ASTM B241 Gr 7072 Aluminum, has high corrosion resistance. They lose their strength when exposed to very high temperature. ASTM B241 Gr 7178 Aluminum provides good low temperature alloys that gain strength when exposed to subzero temperature. This alloys lose their strength when exposed to high temperature. ASTM B247 Gr 7075 Aluminum, provides strong corrosion resistance & high strength. It is hardened by precipitation heat treatment. It is mainly used in manufacturing aircraft & other aerospace. ASTM B313 Gr 1100 Aluminum, is the most commercially pure alloy of all the aluminium. Its application includes chemical storage & processing equipment. It is best used for welding, brazing & soldering but has poor machinability. 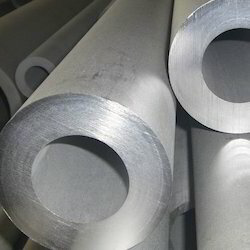 ASTM B313 Gr 1350 Aluminum is considered as good low temperature alloys as their strength increases when exposed to subzero temperature & they lose some of the strength when exposed to high temperature. ASTM B313 Gr 3004 Aluminum, is an alloy of aluminium with magnesium & manganese. It is strengthened by cold work only as it does not respond to heat treatment other than annealing. 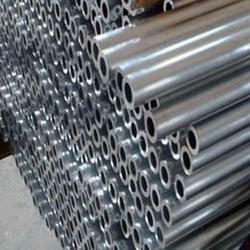 ASTM B313 Gr 5050 Aluminum, has excellent corrosion resistance. It is a wrought type alloy. It has excellent workability & is a non-heat treatable alloy. ASTM B313 Gr 5052 Aluminum, is one of the higher strength, non heat treatable alloys which contains magnesium as its major alloying element. It has very good corrosion resistance especially to salt water & can be easily welded. 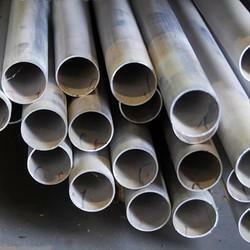 ASTM B313 Gr 5086 Aluminum has good welding & corrosion resistance properties. It is extremely popular in marine applications. 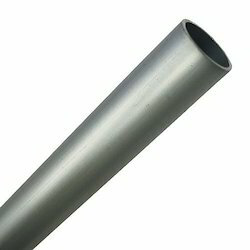 ASTM B313 Gr 6061 Aluminum, is one of the most versatile heat treatable extruded alloy with medium to high strength capabilities. 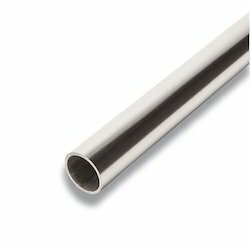 ASTM B313 Gr 7072 Aluminum Tube provides high corrosion resistance. It lose its strength when exposed to very high temperatures. ASTM B404 Gr 1060 Aluminum, is relatively low strength, high purity alloy with 99.9% minimum aluminum content. 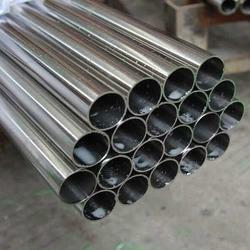 It also provide excellent welding characteristics & formality along with corrosion resistance. It has excellent forming capability by cold or hot working with commercial techniques. ASTM B404 Gr 3003 Aluminum is weldable by conventional welding methods. It also takes cold & hot working well & has generally better mechanical properties. Its application include chemical equipment, pressure vessels, heat exchangers etc. 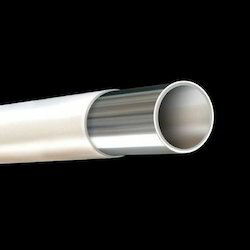 ASTM B404 Gr 5052 Aluminum Tube is a non-heat treatable alloy with good corrosion resistance, especially to salt water. 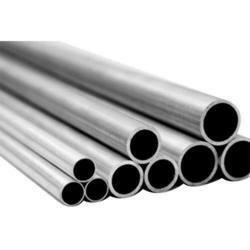 ASTM B221 Gr 5456 Aluminum is a non heat treatable alloy of aluminum & magnesium. It is a moderate strength alloy that can be strengthened by cold working. 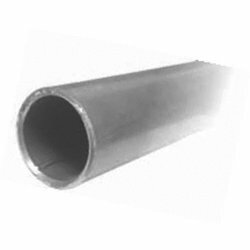 Aesteiron is the manufacturers and suppliers of optimal quality range of ASTM B404 Gr 6061 Aluminium Tube. ASTM B547 Gr 5454 Aluminum, has very good corrosion resistance in particular to seawater & general environmental conditions.